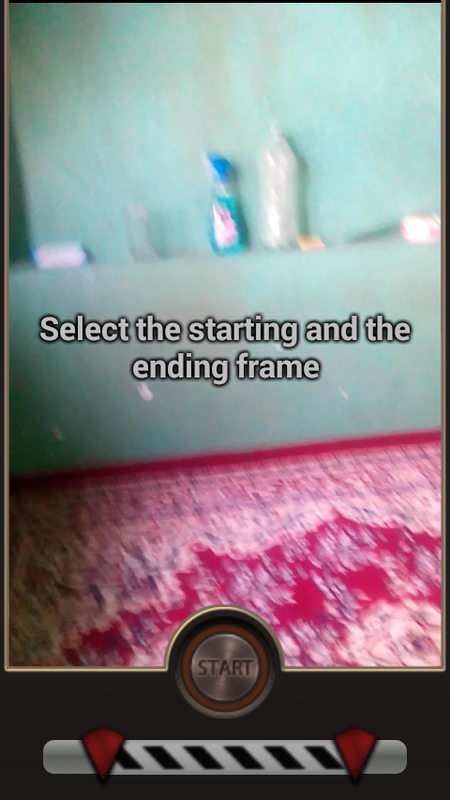 Hello readers as you know we always post tricks about free recharge and free Internet but today we are going to post something else i.e we are going to discuss about an app by which you can create your own magic videos which you record yourself. 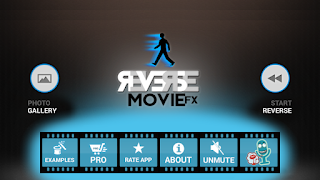 The app is known as Reverserse Movie Fx. 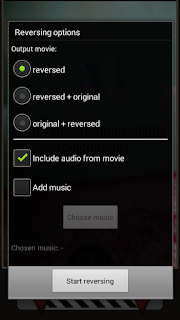 Reverserse Movie Fx is an Android application which hello you to create reverse video of your recorded video that looks like a magic trick by which you can fool your friends. First Record a video of someone( you or your friend) for drinking water, working, throwing ball, throwing knife, putting something on ground like paper or some other thing which comes to your mind then select a part from the video when click on start and the app will reverse the video and the video will look like walking back putting water in the glass from your mouth and now I'm coming to you also for paper it will go a automatically up to your hands from ground which will look like a magic trick. 1. 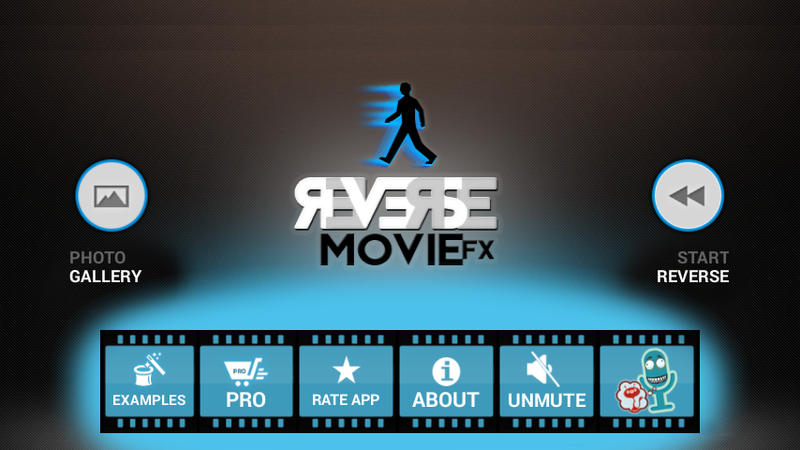 Download reverse movie FX app from here. Install and open it. 2. On the screen click on reverse as shown in screenshot. 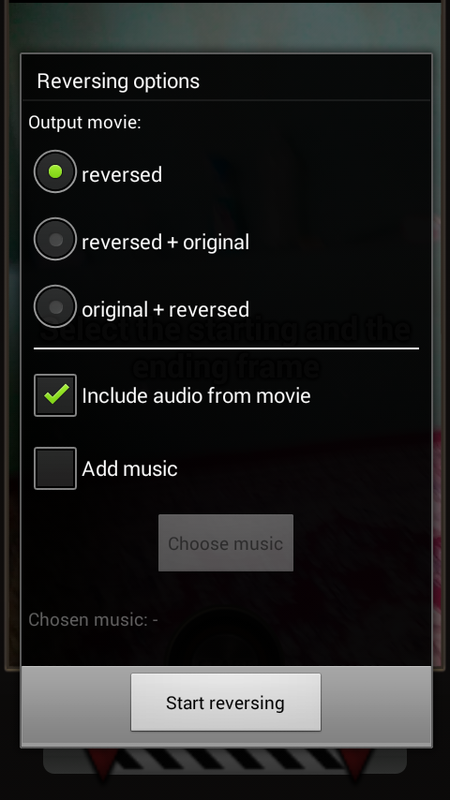 Then click on record movie and video recorder will be opened and will start recording video after recording click on tick mark. 1. Put the water in the glass by a bottle after reversing you will see by putting the water in the glass the glasses gets empty. 2. Torn the paper in many pieces and see magic. 3. Through anything from your mouth and see magic. This a very good app to make prank videos. I have made some videos myself and my friends got crazy how i did it .